I have an m46 that when I bought it, it didn't have a bellhousing on it and it was missing the bearing that sat behind the bellhousing. It is the one that sits below the main input shaft. Looking on rockauto it looks like the countershaft bearing is what I need but I haven't been able to find anything online about it and my haynes manuals don't mention the countershaft bearing from what I've read. The bearing sits on the circle cutout of the right bellhousing in the picture. There is also a rear and center countershaft bearing. Would the one I need be the center? Set 4 (A4) is the one you want. 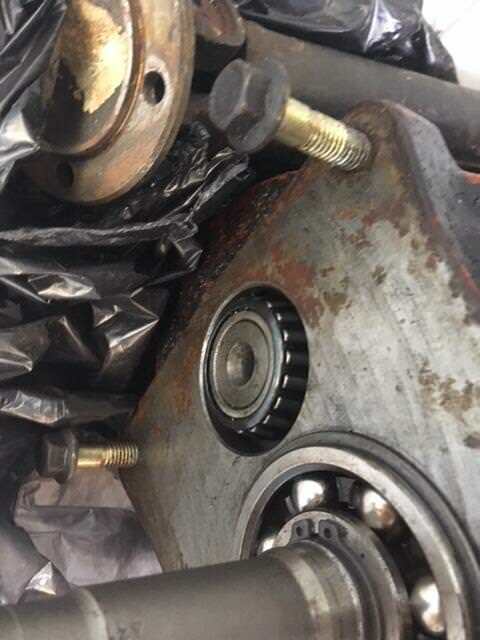 Make sure you put the shim for the input shaft bearing back in. There is no more than two bearings supporting the countershaft in an M45/M46. If its not an early type, both front and rear countershaft bearings are standard size 44649-610 ones. Dont forget to properly setup the clearances/preload down there, it differs between the iron and alu housings. Is there any where to get the shims? I don’t think it was there since the bell housing wasn’t on the transmission. I was reading about shimming in the Haynes guide. There is a local Volvo shop to me that I could probably check to see if he has them. And the National A4 is the one I want for the bearing? Last edited by chronicrhythm; 06-13-2018 at 10:33 PM.. 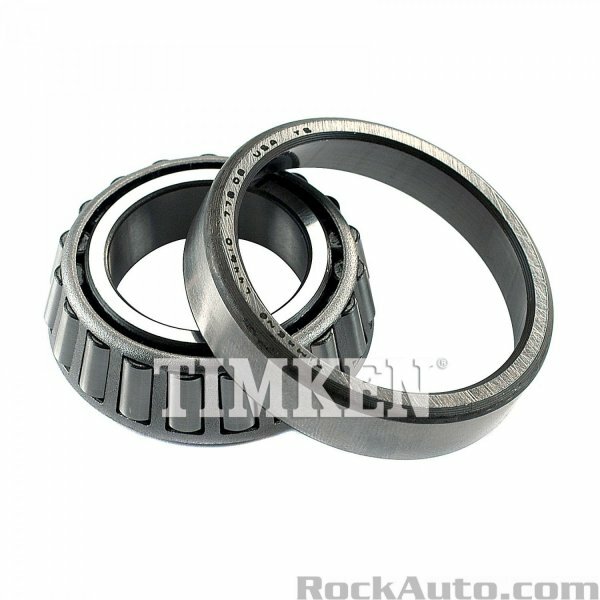 I like Timken and I believe that's what they came with but either will work. You need to measure the depth of the recess in the bell housing and the amount the bearing protrudes from the case. Add the gasket thickness to the depth of the recess, then subtract bearing protrusion to determine the shim needed. All 4 shims sizes are still available from the dealer. Last edited by hiperfauto; 06-13-2018 at 11:14 PM..
Do you have the correct front gasket? I had to wait months to get the front gasket for an early M45/M46 from Volvo, the only source for them, later M45/M46 use a different gasket. 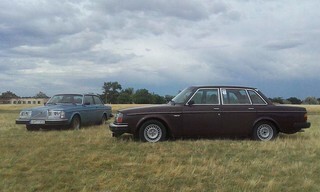 And I have both in stock in case Volvo is on back order again or if you don't want to make your own gasket. Whoops, SKF is the original bearing manufacturer, not Timken. I am going to try the gasket kit from eeuroparts. Actually looking at the vehicle fitment guide it says it isn't for a 240 so maybe the bellhousing gasket won't be correct and I'll have to contact you. I guess I could call them and see what the thickness is. Do you know off hand how thick it should be? Before you buy that set, make sure you have the later M46. So I bought the new bearing. From reading the haynes manual it looks like I need to take everything out to get to the layshaft and then replace the bearing. The old bearing is there but is missing the race. It rolls fine but seems to be aged. Could I put the new race I have on there or would it be asking for trouble? Is there a way to replace the bearing without tearing into the entire thing? I think I would rather find another one that works if I have to tear the whole thing down since it seems like it would take a lot of time. Picture is of the current countershaft bearing.